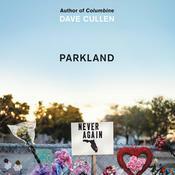 Dave Cullen is a journalist and author who has contributed to Slate, Salon, and the New York Times. He is considered the nation’s foremost authority on the Columbine killers and has also written extensively on Evangelical Christians, gays in the military, politics, and pop culture. A graduate of the MFA program at the University of Boulder, Colorado, he has won several writing awards.